Here’s one seat sale you cannot miss! Book now and #MakeFirstMomentsHappen on your next trip. Enjoy the lowest fares with this Juan Day Sale. Book flights to Boracay (Caticlan), Cagayan de Oro, General Santos, Iloilo, Siargao or Zamboanga for as low as Php299 one-way base fare. IInternational flights departing from Manila to Brunei, Fukuoka and Siem Reap are also on sale starting from Php499 one-way base fare. 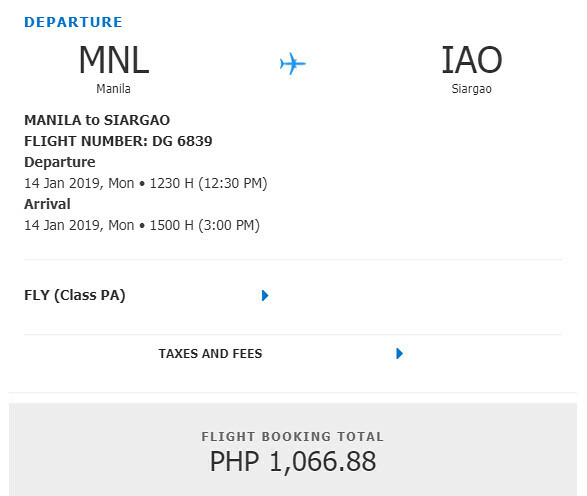 Here’s a sample booking for Manila to Siargao. Fare is as low as Php1,066.88 one-way. 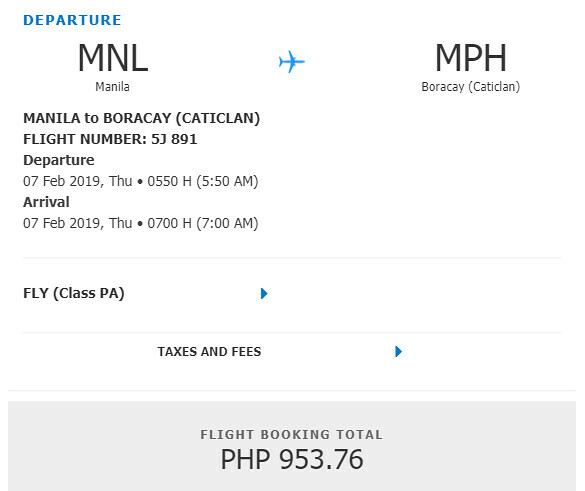 Here’s a sample booking for Manila to Caticlan (Boracay). Fare is as low as Php953.76 one-way. 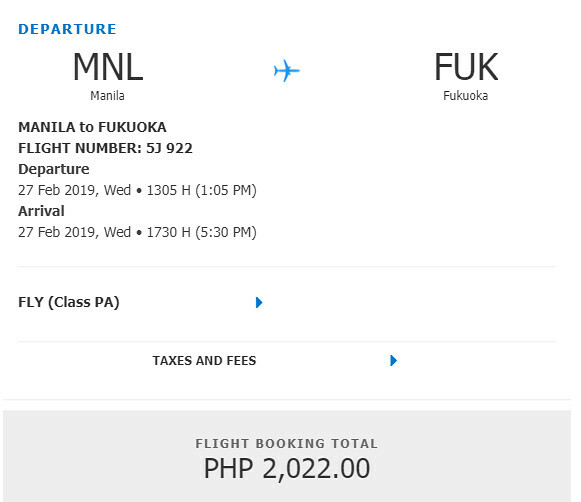 Here’s a sample booking for Manila to Fukuoka. Fare is as low as Php2,022 one-way.